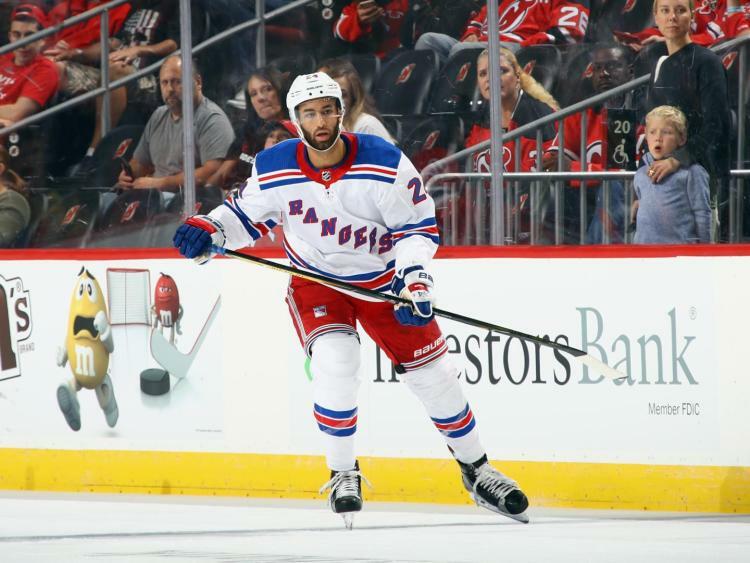 The Rangers have returned Boo Nieves and Ryan Lindgren to Hartford. This was an expected move. The Rangers have nine days off, and Hartford plays a ton during that stretch. This is a move to keep them moving and get them playing time. Nieves will certainly be back after the break. Lindgren may stay, depending on the health of the blue line. This confirms that Brett Howden will not be sent down. David Quinn said he thinks Howden is gassed and just needs a break. "Rangers return Nieves, Lindgren to Hartford for long break", 3 out of 5 based on 5 ratings. I just hope that Lindgren gets to come back to play. He is so sound on the basics, and I love the edge he plays with. Pionk should have to sit and earn his spot back because ADA, along with Lindgren proved they are worthy of all the ice time the coach can give them!!!!!!!! Agreed. I would go further and send to Pionk to Hartford. He is not subject to waivers, he is NOT PROGRESSING, and he is not very good. The idea of letting Staal mentor and protect a talented young offense-minded right defenseman has merit, but it is clear that the more talented ADA is the right choice and the Pionk-Staal experiment has failed. Perhaps Pionk can repair his deficiencies in the AHL and become a true NHLer. Also, of course, when everyone is healthy, the Rangers cannot carry more than eight defensemen and so if they keep Lindgren, someone else must go. Only Pionk is not subject to waivers, though of course Brendan Smith would likely clear waivers as no one wants to take his contract off Ranger hands. Tony, I get it, but because Quinn and Ruff have been playing Pionk 20+ minutes every night, game in and game out, I don’t believe such a move is in the cards. I hope that I am wrong, but I predict DeAngelo and/or Claesson to be seeing press box time when Pionk is healthy. I think that DeAngelo needs to play, so I’d keep him with Staal and put Pionk with with either Skjei or Lindgren and then spread the ice time around. Leaning on Pionk as if he is McDonough is nuts. Maybe you are right, but I hope not. The fact that DQ could not figure out Staal-Pionk wasn’t working in 30 games doesn’t mean he can’t in 40, especially with some time to reflect. Plus, if I am Gorton, I lean on him at this point. DeAngelo is a problem for Gorton. A player too promising to clear waivers but not good enough to play regularly is a headache. So I really want to resolve the situation – and that means finding out what ADA can do. I flat out tell DQ to give the Staal-DeAngelo pair 15 games together to see what happens. The last three games should be a revelation on defense. Lundqvist has been fine, but not extraordinary. He hasn’t stolen the games. The Rangers have won them. With Lindgren in and Pionk out, with Staal-ADA as a pair, the Rangers actually have a defense. The Rangers don’t need Pionk to succeed – or Day – or Hajek. What they need are some of the young defensemen to succeed — and DeAngelo, Lindgren is a damn good start. Of course, you continue to work with everyone.